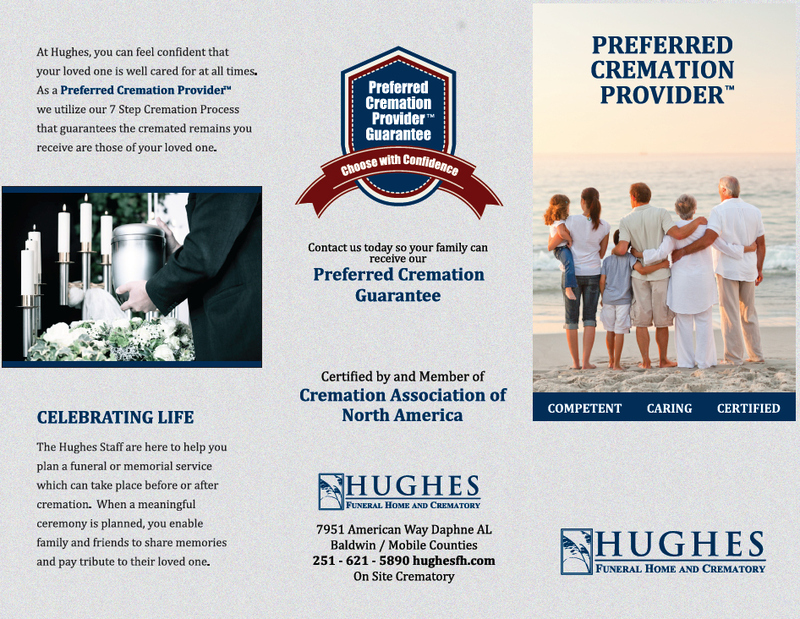 With Hughes Funeral Home and Crematory, you can feel confident that your loved one is well cared for at all times. 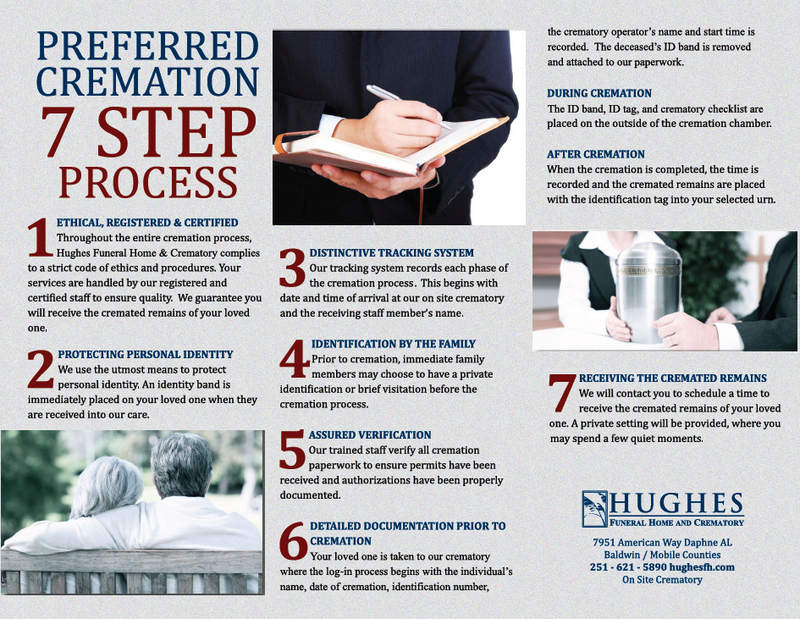 The Hughes 7 step Cremation Process guarantees the cremated remains you receive are those of your loved one. Throughout the entire cremation process, Hughes Funeral Home & Crematory complies to a strict code of ethics and procedures. Your services are handled by our registered and certified staff to ensure continued quality. 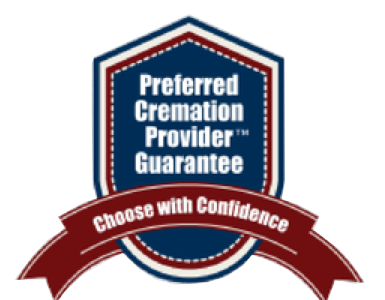 We guarantee you will receive the cremated remains of your loved one. We use the utmost means to protect personal identity. An identity band is placed on your loved one immediately, when they are received into our care. Our tracking system records each phase of the cremation process. This begins with date and time of arrival at our crematory and the technicians name. Prior to cremation, immediate family members may choose to have a private identification or brief visitation before the cremation process. Our trained staff verify all cremation paperwork to ensure permits have been received and authorizations have been properly documented. Your loved one is taken to the cremation chamber and the log-in process begins with the individual’s name, date of cremation, identification number, crematory operator’s name and start time is recorded. The deceased’s ID band is removed and attached to our paperwork. The identification tag and crematory checklist are placed on the outside of the cremation chamber during the cremation process. When the cremation is completed, the time is recorded and the cremated remains are placed with the identification tag into your selected urn. We will contact you to schedule a time for you to receive the cremated remains of your loved one. A private setting will be provided, where you may spend a few moments. The Hughes Staff are here to help you plan a funeral or memorial service which can take place before or after the cremation. Families who plan a meaningful ceremony, enable family and friends to share memories and pay tribute to your loved one.